Like it I love it. Awesome work! I love this! 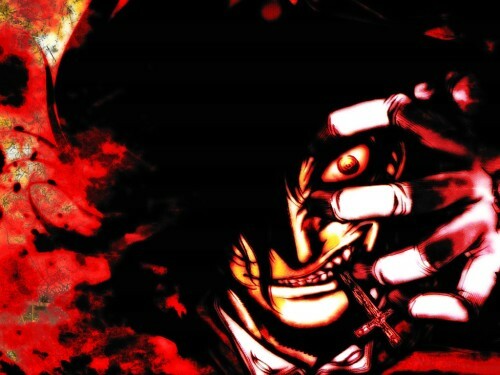 Alucard's slightly over the edge personality is captured perfectly in this picture and you made full use of it through great play with colours. good job.